The Programme Manager is part of Entertain, which is Deutsche Telekom’s digital television package. It offers users a consistent experience and an intuitive interface on all available platforms: smartphone, computer and television. 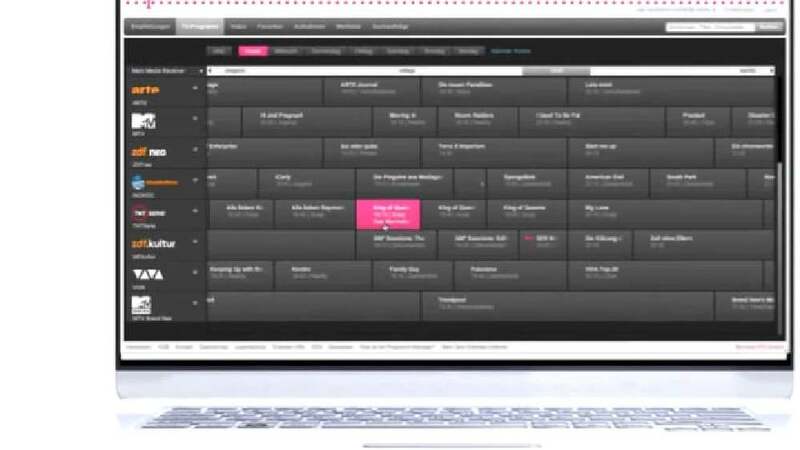 The Programme Manager displays the TV programme for the next 14 days, suggests movies, is equipped with search functionality, sends reminders and provides many other services. Users can programme their hard-disk recorder online via their smartphone, tablet or desktop PC; they can also record TV programmes and watch them at any time with­out commercial breaks. With more than 70 television channels, 2,500 international radio stations and 10,000 movies in the online video library, Entertain assumes a prominent role in the German IPTV market.